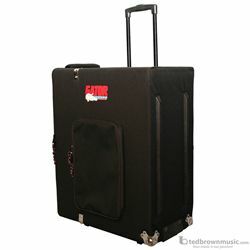 Cargo Case with Lift-Out Tray, Wheels, Retractable Handle; 12"X24"X30" Int. 600-Denier nylon over 1/2" plywood construction with wheels and pull-out handle and side lift handles. Seperate lift-out storage tray and exterior tray.